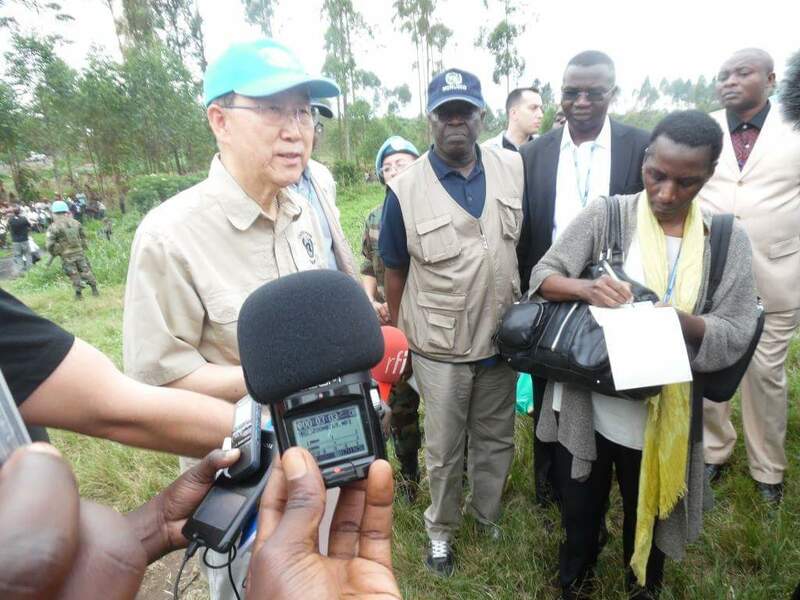 The Secretary General of the UN Ban Ki-moon arrived yesterday Tuesday, February 23 in the Democratic Republic of Congo from Goma in North Kivu, his visit to the IDP camp Kitchanga hosting thousands of displaced people. There, he stressed the need for collaboration between the Congolese Armed Forces of the DRC and the UN Mission in the country (MONUSCO). This collaboration was recently reactivated following the earlier suspension due to the presence of two FARDC officers suspected of serious human rights violations. For the UN, this collaboration is necessary in order that security and state authority throughout the DRC are restored and that all displaced return home. Displaced populations have also expressed their willingness for Ban Ki-moon to return to their villages and live in peace. 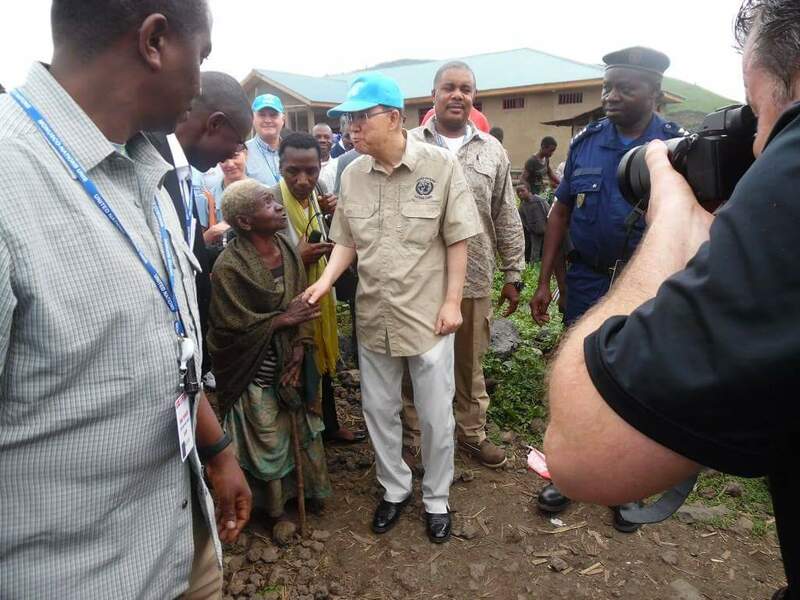 For his part, the Secretary General informed the Mongote IDP in Kitchanga that the United Nations is working on the restoration of security in the region and for their return to safety in their communities. He also called for these displaced people to be involved in the restoration of security in the region. For the inhabitants of Kitchanga the visit of Ban Ki-moon in their midst is proof that the United Nations are concerned about the problems of the people at the camp. On the occasion of his visit to Kitchanga, Secretary General of the United Nations met with the local authorities in Masisi, delegates from civil society and the representative of the Catholic parish of Kitchanga. The city of Kitchanga is located at least 80 kms north-west of Goma in the chiefdom of Bashali, in the Masisi territory. Kitchanga is situated on a plain that clings more or less to the south flank of the Nyamulagira volcano and has an estimated population of 80,000 inhabitants, who are predominantly Hunde (considered indigenous), followed by Hutu and Tutsi. Kitchanga’s economy is based on agriculture, livestock and fishing (no minerals), but is also an area that still has some remnants of forests where logging for construction boards occurs. 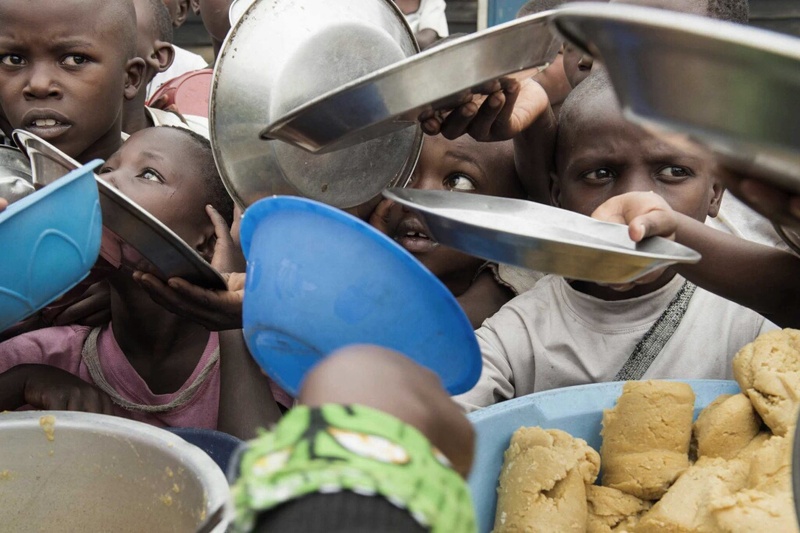 – The first consequences of these conflicts: Creation of the first IDP camp in the region, one of Mungote in 2008 which mainly houses Hunde with some Hutu, Tutsi living in another camp, that of Kahe. – 2009: End of the CNDP war IDPs trying to return home, but most have their land expropriated by the former dignitaries of the CNDP who made breeding farms. – Consequences: huge land disputes Birth in the region (2013-14-15 many farms are attacked and cows slaughtered in mass APCLS challenged The aim would be to hunt large area farmers to liberate the land. 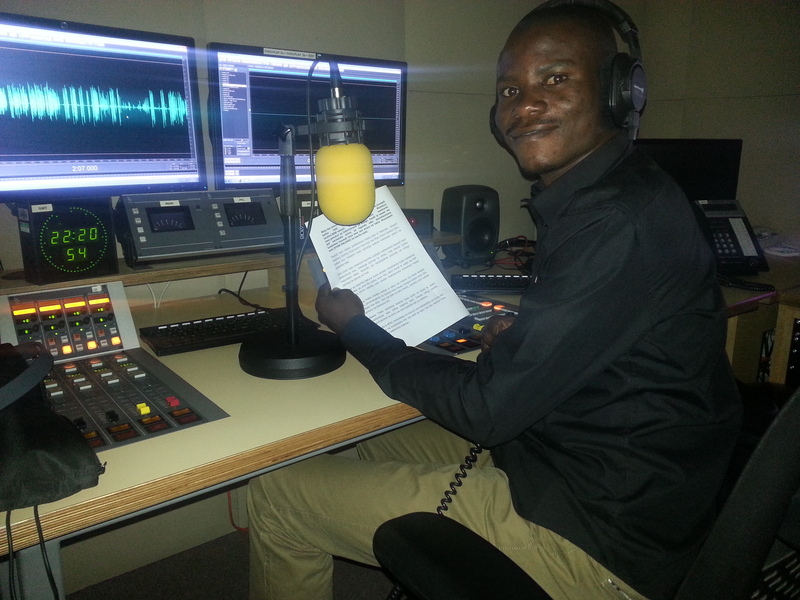 – 2015: Appointed by the Governor of a delegate in Kitchanga to manage all land problems. The Protection of Civilians is central to the mandate of MONUSCO. MONUSCO has an operational base with a detachment of the Uruguayan peacekeepers company in Kitchanga. There are in the database, the presence of the Community Liaison Assistants (CLA’s) which serve as a bridge between MONUSCO, authorities and local communities as well as with humanitarian and United Nations agencies. They run the early warning system at the local level with respect to threats to civilians there and provide answers locally. The Partnership of the UNDP / CAS to accelerate governance and local development (validation inclusive and sustainable local development plan.